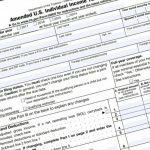 The Army News Service has stated that soldiers who have their term of service ending need to make a re-enlistment decision between now and Jan. 31, but no later. “If your Expiration of Term of Service is in fiscal year 2012, you have to re-enlist before you hit 90 days from ETS, or Jan. 31, whichever date you hit first,” explained Jim Bragg, chief of Enlisted Retention and Reclassification at the Human Resources Command. Historically, the Army’s retention mission would encompass October through the following September — the entire fiscal year. 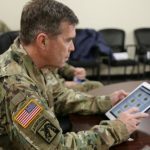 This year, Army G-1, the a staff that makes policy for retention actions, has broken the retention mission up into two phases, with the first phase running from Oct. 1, 2011 to Jan. 31, 2012. The second phase will start no later than March 1. “In January, we’re going to take a look at what we’ve done and then we’re going to start Phase Two on March 1. But we don’t know what the policies are going to be for Phase Two yet. G-1 has not made that determination on what the window is going to be and what the policies are going to be. That’s still being looked at. But more than likely, this determination will be made in January or February,” Bragg said. 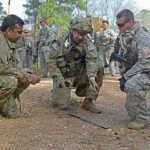 “So, if you’re in a job that doesn’t offer promotion potential, or you just want to do something different, that’s where the Army needs you,” Bragg said. 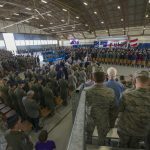 If a Soldier is in an MOS listed in the Selective Reenlistment Bonus message (MILPER 11-301 at http://bit.ly/rHf9Xc) and re-enlists, they’ll receive a bonus to remain in that MOS. “That’s based on your MOS, a special skill you have, or maybe even a specific location you’re in. If we’re having a hard time filling it, we’ll give you an incentive to stay in there,” he said. Also, if a Soldier volunteers to reclassify into an MOS listed in the Bonus Extension and Retraining, or BEAR, program (MILPER 11-302 at http://bit.ly/vgKNJf) from his or her current MOS, he or she will be paid a bonus upon graduation. 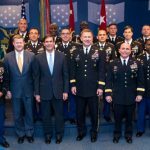 “Basically, I’ll take you from your job that you’re not getting promoted in, put you in this job, increase your promotion opportunity and pay you a bonus when you complete training, if you’re willing to change jobs and you meet the qualifications for an MOS in the BEAR program,” Bragg said. Other things still remain the same. “We’ve always required Soldiers to meet the Army weight standards and the Army’s physical readiness test standards before they’re authorized to re-enlist. And when you get a bonus to re-enlist, the minimum is three years; the maximum is six,” he said. Soldiers who have questions about the re-enlistment requirements or bonuses available need to contact their unit career counselor. “The career counselor’s job in the Army is to talk to Soldiers about staying in the Army. They understand all these messages, they understand qualifications, and they have a direct line up here to my office. So, if they can’t answer a question, they’ll get it to us and we’ll give them the answer and we work with them on getting the assignments and training for these Soldiers,” Bragg said.